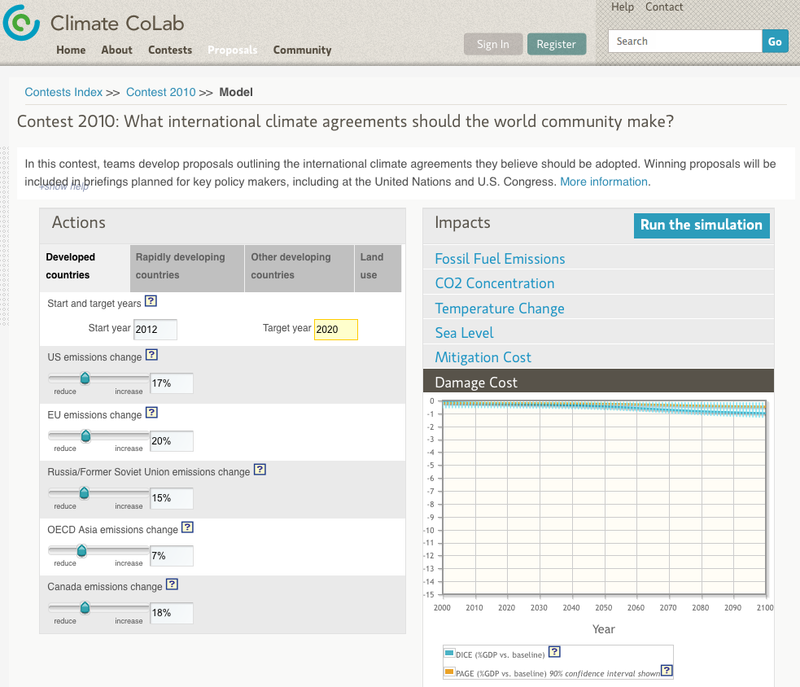 We’re excited about the Climate CoLab’s new interactive application and the associated contest. Tom Malone, Rob Laubacher, Josh Introne and team have done a great job. The model behind the site incorporates the open source version of C-ROADS, so their use of the sim realizes a dream we’ve had here at Climate Interactive for a long time. Enter the contest below! Instead of waiting for policy makers to act, you can help figure out the answer at the Climate CoLab. Working alone–or in teams of people from all over the world–you can create proposals for what to do about climate change. The winning proposals will be presented to key policy makers, including officials at the UN and the US Congress. And if your proposal is one of the top two, you’ll receive travel funding for a representative of your team to attend one of these briefings. The deadline for the contest is October 31, 2010.